A dinner was arranged for a couple of friends who were in town, and since we could always use an extra mouth at a Chinese meal, I happily agreed to join them at Xin Rong Ji (新榮記). The restaurant had been open for about 3 months, apparently, and this would be my first opportunity to get a feel for this import serving cuisine from Taizhou (台州), Zhejiang Province (浙江省). Upon arrival, it was immediately apparent to me that the restaurant knew exactly who we were. I spotted 2 bottles of DRC as soon as the staff opened the door to our private room, compliments of the restaurant owner. Hmmm.... now what exactly did we do to deserve this treat? Strawberries - these were pretty good, and a great way to start us off... especially with the bottles of Champagne we popped. With the festivities around Asia's 50 Best Restaurants over, it was time to pack up and go home. But for some of us, we still had one last, highly-anticipated dinner to take in before boarding the ferry back to Hong Kong. 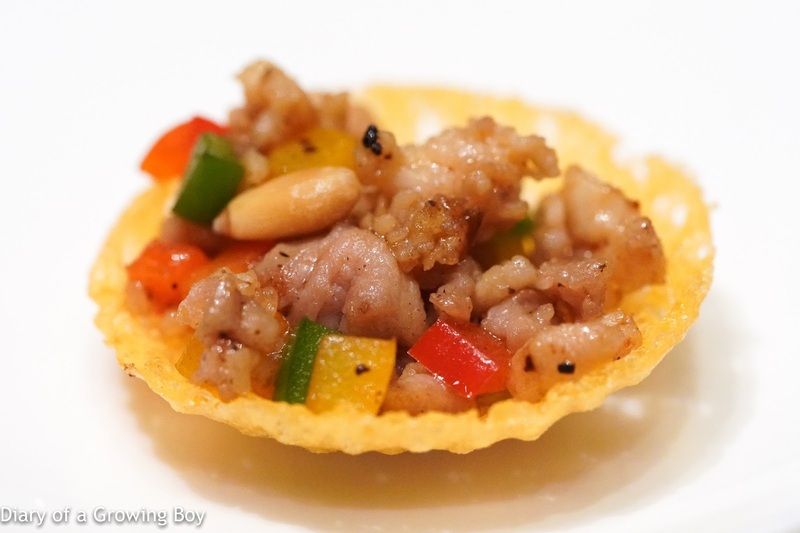 Sing Gor Private Kitchen (勝哥私房菜) is a place I had heard about from The Man in White T-shirt as "next level Cantonese cuisine"... whatever that means. This was of course confirmed by Chef Tam at Jade Dragon when I visited him in January, as he was the person who introduced the place to Mr. White Tee. So a couple of us had planned to tag along to a group dining here tonight. The list of attendees grew quickly, and Chef DaRC, The Great One, and I were asked to splinter off to a second table and fill it with our own friends. 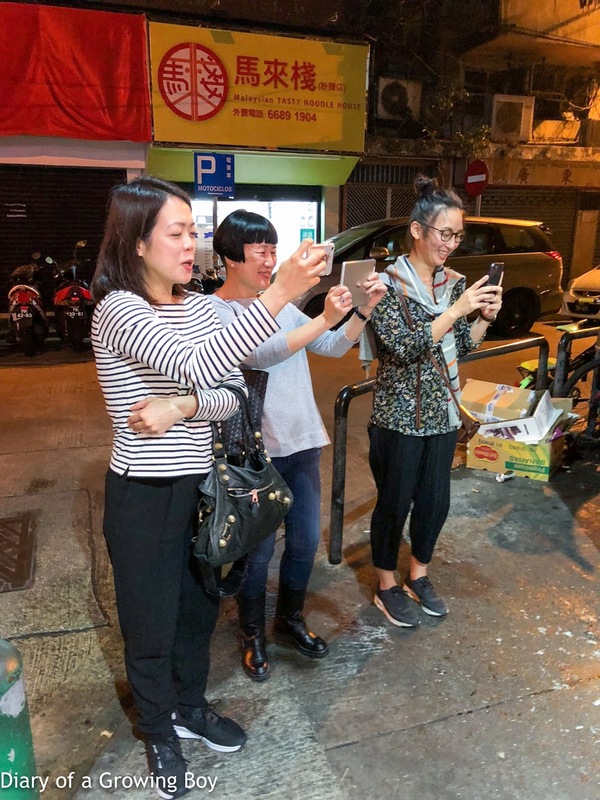 We gradually contacted friends who we knew were gonna be in Macau for the festivities, and soon we had our "kiddie table" filled with people who had never been here. And this would be turn out to be a star-studded evening. With us tonight were 6 chefs from 5 different restaurants on this year's Asia's 50 Best Restaurants, a former Asia's Best Female Chef, as well as two regional chairs from The World's 50 Best Restaurants Academy. Plus a straggler like myself. Two real "chef's tables". I was already in Macau and had drunk the Champagne I brought last night, so I had to rely on the kindness of friends for some alcohol... Gee... 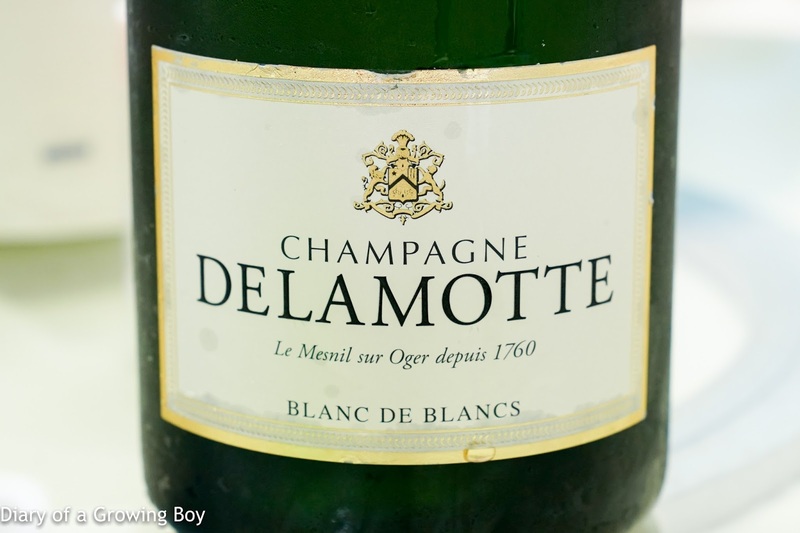 I wonder where the magnum of Delamotte Blanc de Blancs came from?? 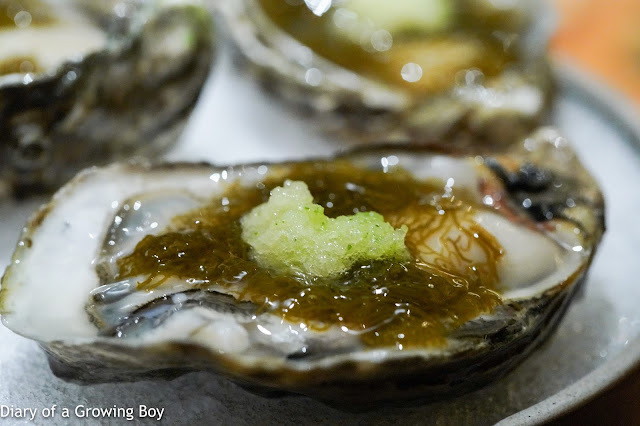 When one comes to a place like this, one encounters dishes that are so old school and uncommon nowadays that if there was no one around to explain the story behind each dish, most of us would have no idea of the kind of skill required for the execution. Thankfully those of us at the kiddie table got a lesson from Spam Bro, with the occasional annotation from The Man in White T-shirt. 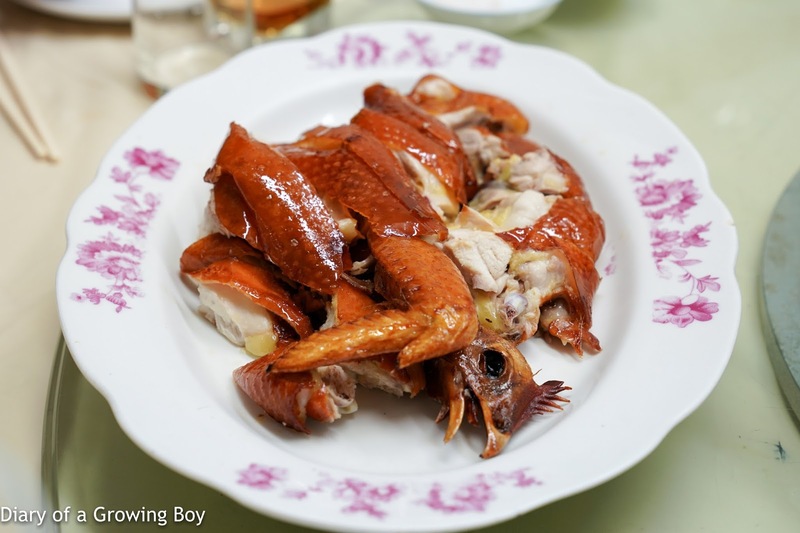 Crispy chicken (炸子雞) - this is normally served much later during the meal, but for some reason the kitchen decided to split one chicken between the two tables and used it to whet our appetites... Yes, this chicken was damn good. And the skin was paper-thin and crispy. While I did sample some of the finger food being served at the party after awards ceremonies last night, The Great One spent some time filing her article right after the announcement and Gaggan's press conference. So she came back to the pool deck starving, and as lots of people were going out for supper, we figured we'd go and grab a bite, too. I had long heard about mud crab congee (水蟹粥) as one of the famous supper items in Macau, but I have never had the stomach space for it when in Macau. So I was pretty determined to get me some tonight. After consulting KC's Macau dining guide, the 5 of just jumped into taxis and headed for Yat Gor Gourmet (一哥美食). I was in the second taxi to arrive at the restaurant, and I found myself facing this... They were filming the cook who was making steamed rice flour rolls (腸粉). 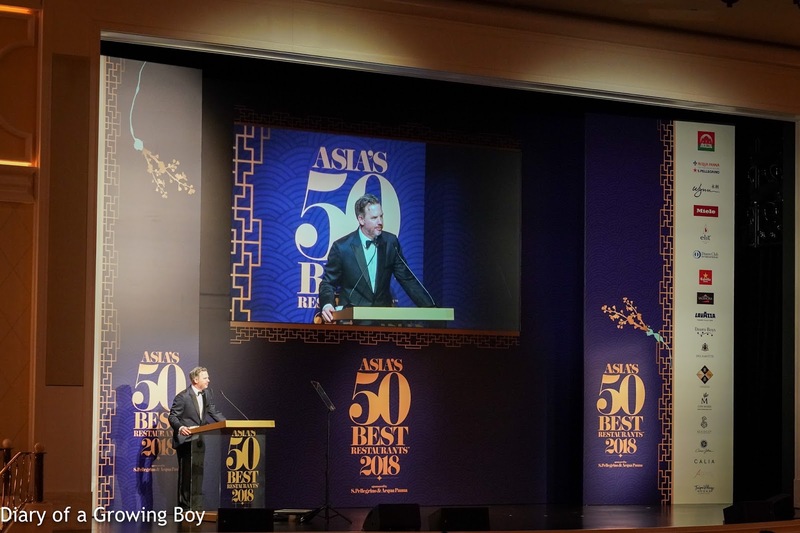 After a day in the office, I'm back in Macau again for 2 days to join the festivities for Asia's 50 Best Restaurants. 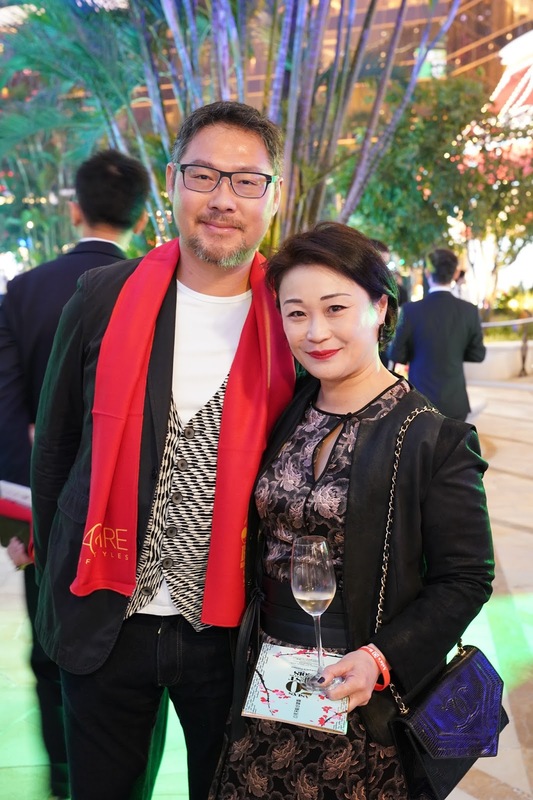 As the event is held at Wynn Palace in Macau, the official venue sponsor was extremely generous with the attendees and rolled out the VIP carpet for us. In addition to offering accommodation, we were also invited to dine around at many of the restaurants within both Wynn Palace as well as Wynn Macau. I got off the ferry and took the bus to Wynn Macau. I chose Mizumi (泓) in this property - as opposed to the one in Wynn Palace - because it's the one restaurant within the Wynn properties with a macaron which I have yet to visit. 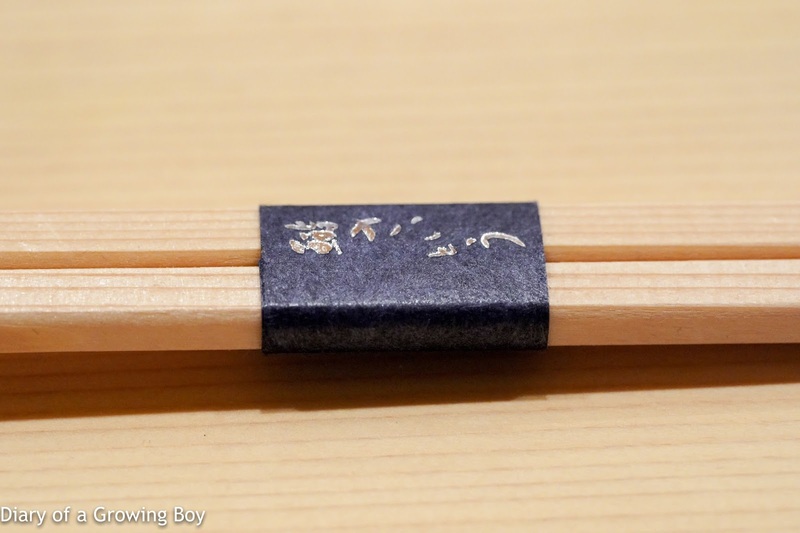 The restaurant is normally closed at this time, so when I arrived a few minutes before noon, I was the first and only one to be seated at the sushi counter in front of master sushi chef Fujikawa Hideki (藤川英樹). 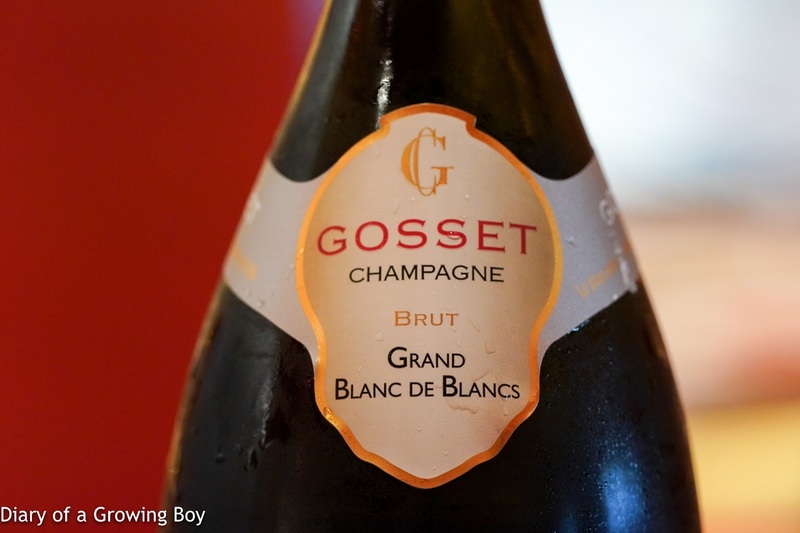 Gosset Grand Blanc de Blancs - pretty easy to drink. 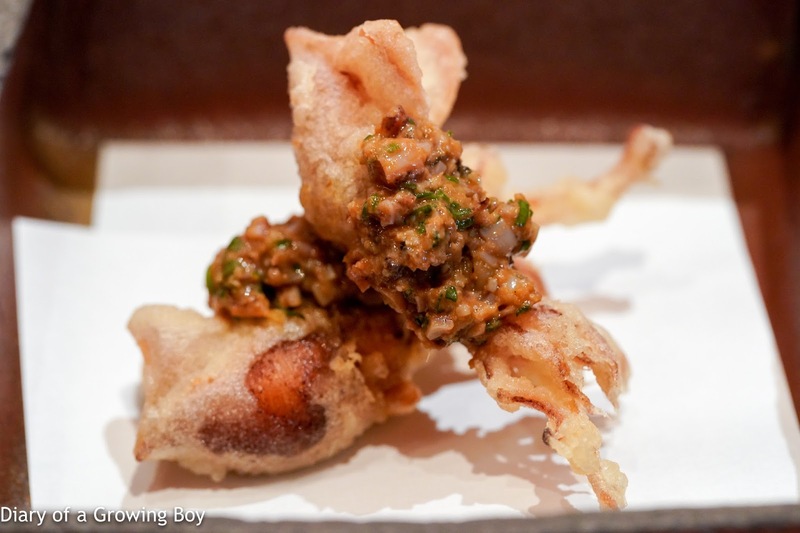 Deep-fried firefly squid (蛍烏賊) - these are in season, and I don't seem to remember ever having them deep-fried. Of course, deep-frying just about anything makes for a tasty morsel, and here the chef has chopped up fresh firefly squid - along with their insides - and made it into a very tasty sauce with plenty of inky flavors. I'm back in Macau on a day-trip (my fifth trip in 2018) for a very special lunch. 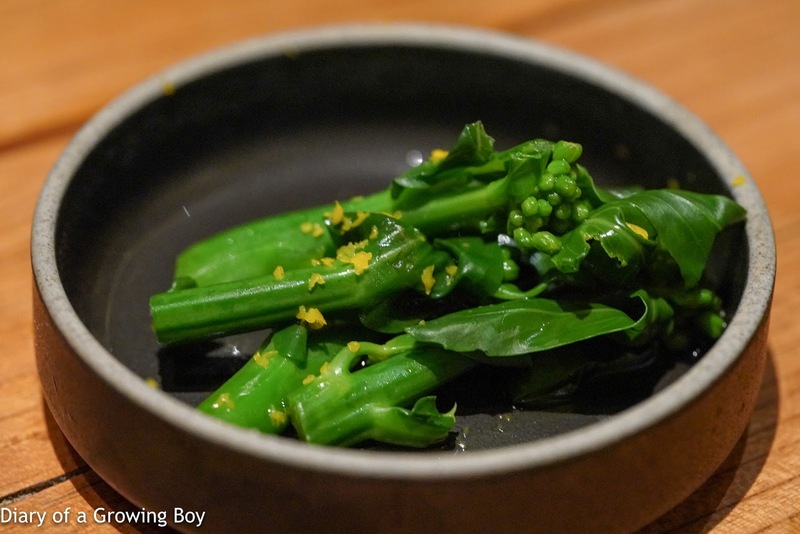 Ahead of the Asia's 50 Best Restaurants awards in Bangkok last year, I attended the first four-hands collaboration between Gaggan and DEN (傳). 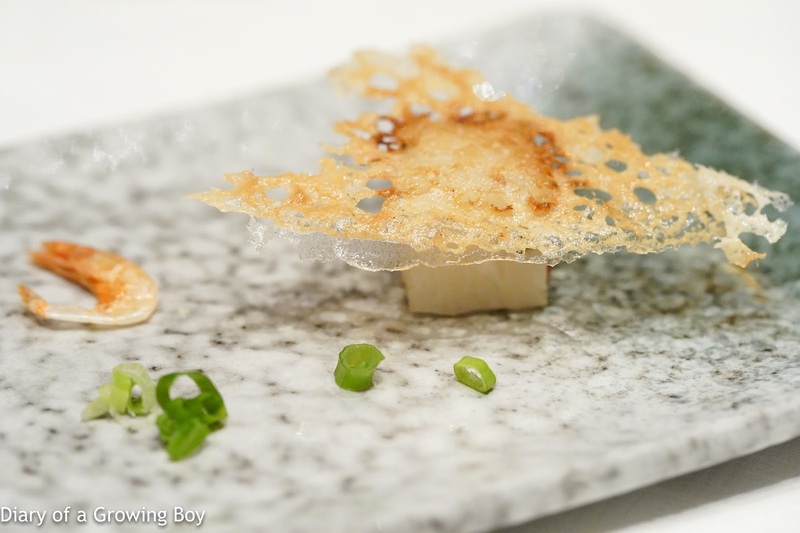 Subsequently I also attended the two GohGan collaborations between Gaggan and Goh-san from La Maison de la Nature Goh - in Seoul and Bangkok. All three have been very interesting dinners for me. Two months ago, in between bites of roast suckling pig at Seventh Son (家全七福), Gaggan told us about their plan to do a new variation of GohGan - by adding DEN into the mix. We knew that this would take things up a notch, so we were pretty ecstatic when the invitation came to join the event in Macau. Hello Kitty and I dragged our butts out of bed early in the morning, and took the ferry to Macau. We arrived at Wynn Palace a full hour before lunch started, so we strolled around for a little lèche-vitrines before becoming one of the first to arrive at Mizumi (泓). The three chefs were still busy doing their thang, so I waived Vladimir Kojic over and handed him the bottles of wine that I had brought him and Gaggan - including a bottle of natural wine bong water that I planned to drink with him. This was gonna be fun! When enough people had arrived, we took our seats next to The Great One and Sweetheart, plus a couple of other friends of Gaggan we had seen at the GohGan in Seoul. A cozy group which made for good conversations. As usual, Sato-san and Takano-san knew of my dietary preferences and automatically switched out the ingredients for one particular dish, so I was getting a different printed menu from Babu. I am ever grateful for their attention to detail. Caesar salad topped with hotaru squid, hotaru squid caesar dressing - it's firefly squid season, so I was very, very happy to kick off dinner with this. 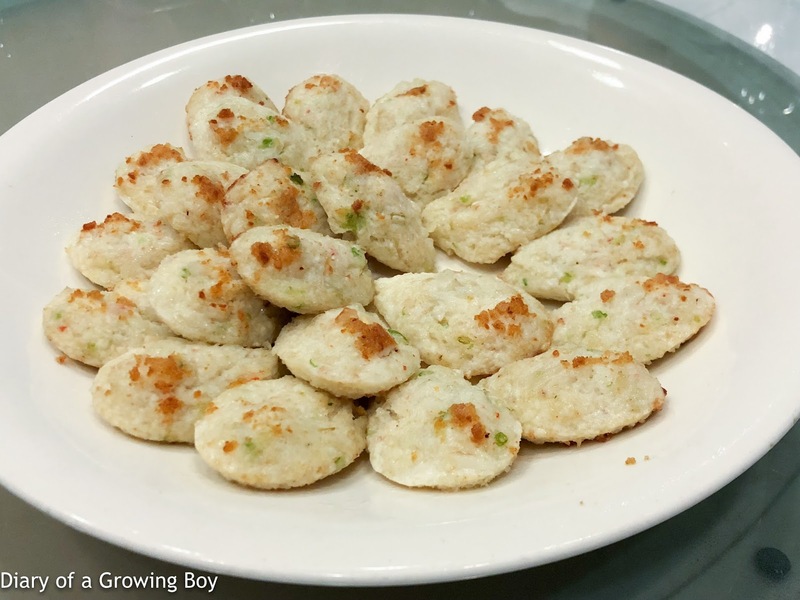 The tiny squids were packed with delicious goodness, and basically exploded in the mouth once bitten. 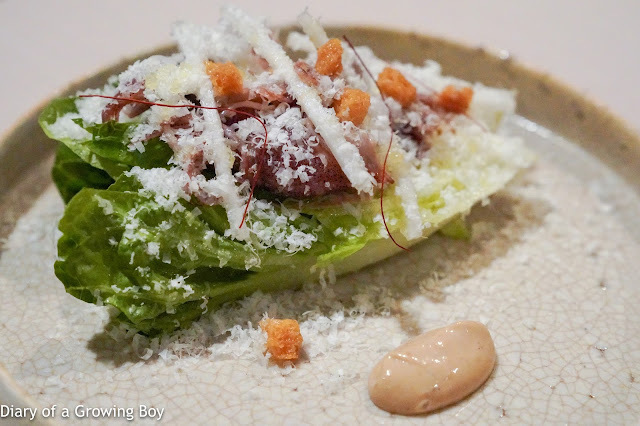 The shaved Parmigiano-Reggiano, croûtons, Japanese spikenard (独活), and pepper chiffonade (糸唐辛子) on top of half a head of romaine lettuce was made perfect with a little dab of firefly squid caesar dressing on the side. SLURP! Following an epic wine dinner last year, a few of us decided to get together to catch up. After rescheduling a few times due to conflicts (it's surprising how tough it is for 4 people to find a date for dinner...) we finally met up tonight at Neighborhood. I couldn't believe that I hadn't been back here in almost 2 months! I didn't pre-order anything, and figured I would just pick a few items off the menu. For the first time since I started coming here - and I've been here a few times - I discovered that I had pretty much tried every single item listed on the menu. And this was in spite of The Man in White T-shirt frequently rotating the offerings based on seasonal ingredients. So... for the first time, it would seem that there were no new dishes for me to try. After a reasonable night's sleep for once, we got up and went out for our morning rounds. Knowing what was to come once we sat down for lunch, we wanted just enough nourishment to keep the hunger pangs at bay. 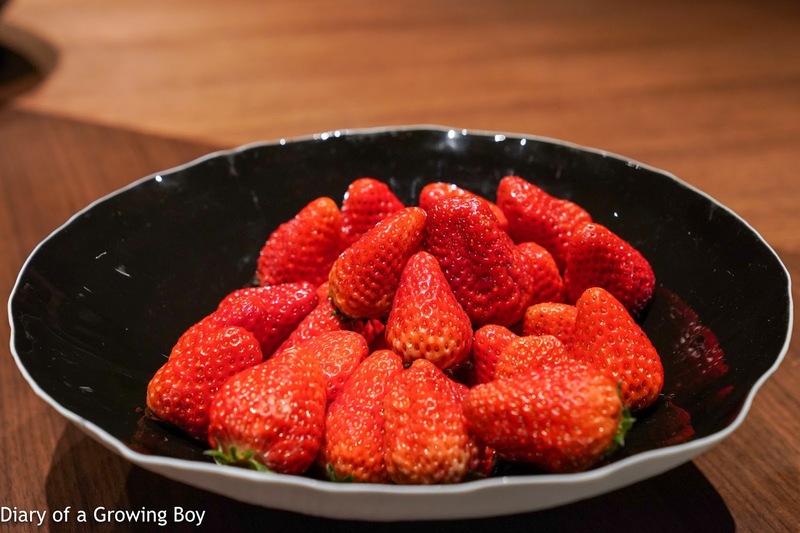 Margaret's Café e Nata is just a stone's throw away from the Grand Lisboa Macau, and seemed like the perfect place for us. It had started to rain this morning, and we were pretty lucky to get ourselves seats at one of the tables under the awning. We were pretty disciplined and decided to take just one pasteis each, washed down with coffee. A few hours after we kicked off the weekend with a delicious lunch, and after the ladies had finished their spa session, it was time for dinner. 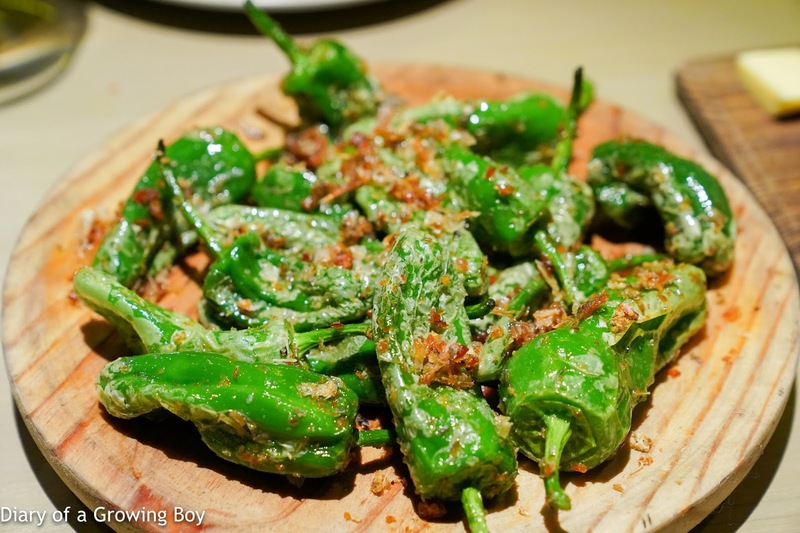 For this we would pay a visit to Chef Tam Kwok Fung (譚國峰) at Jade Dragon (譽瓏軒) in the City of Dreams. The restaurant very kindly seated the four of us in one of the private rooms - in fact the same one that I was in on my last two visits. I had pre-ordered a couple of items with Chef Tam, and picked out a couple of dishes from the menu, and then left the rest up to him. One is usually not disappointed when such arrangements are made by a top chef. 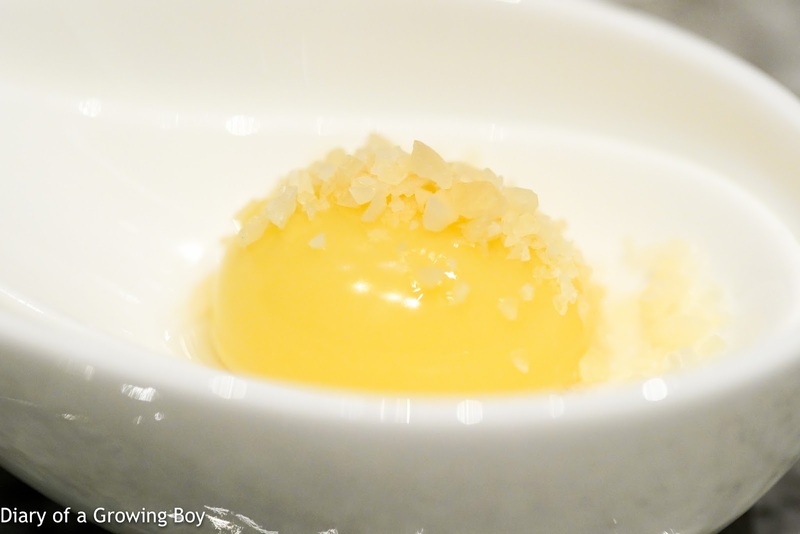 Corn spherification - with pop rocks on top. Pan-fried radish cake (香煎蘿蔔糕) - with a sakura shrimp (桜海老) on the side. Given that there were only 3 of us today, I figured we wouldn't need to be tucked away in a private room... and I would finally have a chance to sit in the main dining room. But as usual Nigel was too kind to me, and we ended up in a private room anyway. 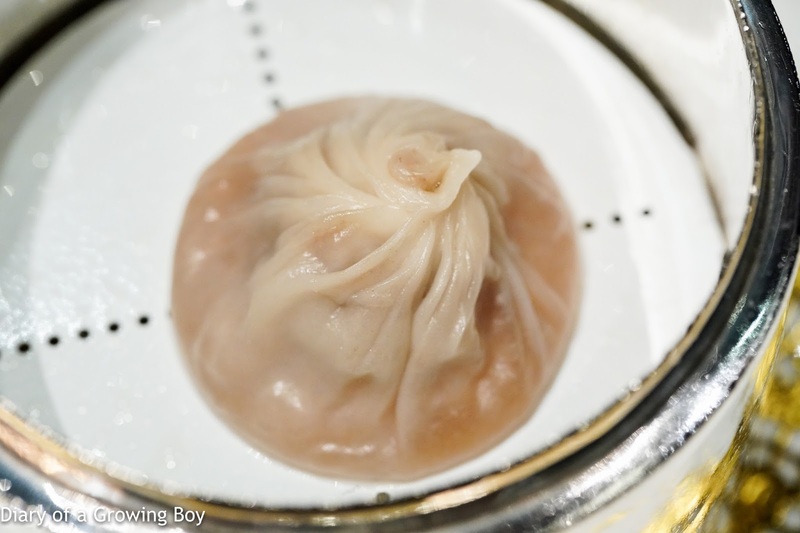 Steamed "Shanghainese" dumplings with chicken essence and vintage dried tangerine peel (老陳皮雞汁小籠包) - I've always loved this both for the delicate wrapper and for the smoky flavors coming from the aged tangerine peel. Slurp. So... there are a few more rounds of chefs vs. food media battles in the The Great Pizza Bake Off. I supported a friend during one of those rounds last year, and this time around I'm here to support another old friend. So the current battle is between Olivier Elzer - formerly of Seasons by Olivier E., L'Atelier de Joël Robuchon, and Pierre - and the team from Fancook Productions (飯局製作公司). Coincidentally, both teams used Cantonese preserved sausages on their pizzas, so this should prove interesting! 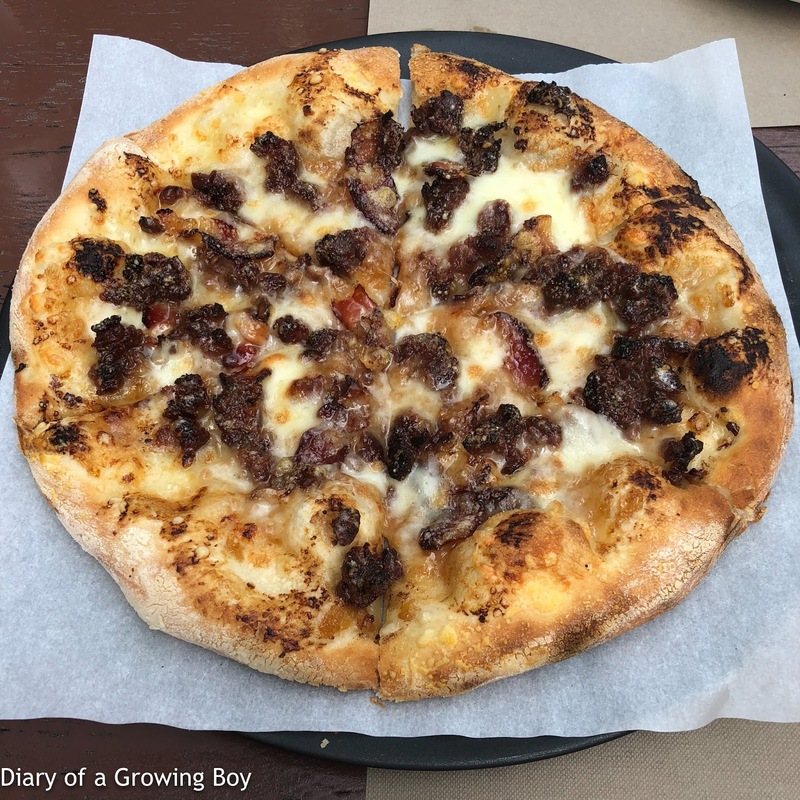 Yun cheung pizza, by Fancook Productions - with foie gras sausage (鵝膶腸, actually made with goose liver), marinated Japanese Nanko plum (南高梅), preserved pork belly (臘肉), and Mozzarella. This was so good that I had to come back for another round. I looooove liver sausage, and I already have a stash of the same goose liver sausage at home. The flavors are heavy, but nicely balanced by the sweetness and acidity of the marinated plums. It also helped that there wasn't a whole lot of cheese on the pizza, so the crust stayed crispy and crunchy.